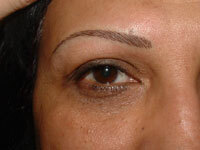 The specialist techniques used to create a kind of semi-permanent make-up are often referred to as micropigmentation. This procedure can simply be described as minute particles of coloured pigment being placed mechanically below the surface of the skin. The most frequently requested procedures are permanent colour to the eyebrows, top and bottom eyeliner shading, lip liner and full lips/lip blend, beauty spot and freckle treatments. Although the treatment fades after approximately 2 - 4 years, some colour will remain to a greater or lesser degree. Micropigmentation can be compared to having a tattoo as the new pigment or colour is deposited in the dermal layer of the skin, just below the surface. You can return to work and normal activities immediately afterwards. The cost of micropigmentation can vary from approx. £75 for beauty spots, to £300 - £500 for eyebrows, top eyeliner and bottom eyeliner and £500 for lip liner. 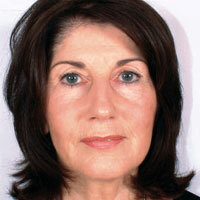 This treatment can be used to correct scarred or discoloured skin by means of reconstructive or medical micropigmentation for birth defects or to repair disfugurement from accident, illness or surgery, or merely as a cosmetic enhancement for your skin as it provides a convenient alternative to cosmetic pencils applied to the eyebrows, eyelids, lips and cheeks. If you are considering cosmetic micropigmentation, the following information will give you a basic understanding of the procedure. It can't answer all your questions, since a lot depends on the individual patient and the practitioner. Please ask a practitioner about anything you don't understand. 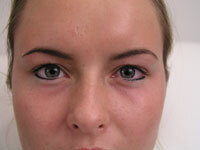 those with physical difficulties which make the application of conventional make-up impossible. What happens during a Micropigmentation (Semi Permanent Make-Up) treatment? Your first appointment with a practitioner should be a consultation to discuss your requirements and expectations from micropigmentation. Your practitioner should explain the treatment process and take notes on your medical history to make sure that there are no reasons why you shouldn’t undergo micropigmentation. If necessary, cosmetic pencils can be applied to simulate the results of the treatment and you should be shown a portfolio of their work. It is not possible to determine the length of time the pigment will remain visible in the skin as each person varies, however it is recommended that treatments are re-applied when necessary to freshen the appearance; this may be anything from 6 - 18 months depending on individual preference and the initial colour chosen. Permanent cosmetic procedures are of a skin invasive nature (as they are a form of cosmetic tattoo) and therefore you may experience some discomfort. This may vary according to each individual's pain threshold and the skills of the technician performing the service. However, keep in mind that there are different methods available to help with pain management, including various topical anaesthetics. 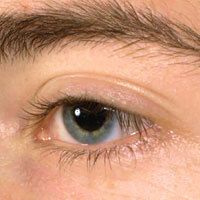 Avoid wearing contact lenses for a few days if treated around the eyes. 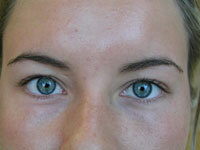 Who should not have a Micropigmentation treatment? Micropigmentation treatments can range from the very subtle to the dramatic, depending on what the client is looking for. A general rule is the more dramatic, the longer it will last. The most frequently requested procedures are explained below. 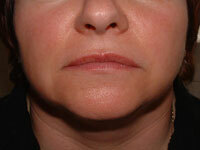 Lips can be defined to emphasise or correct an irregular lip shape, or to add colour to lips that have lost definition. Advanced techniques for lips include colour blending and full lip tint. 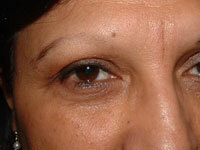 Eyeliner or Eyelash Enhancement is used to add depth and definition to the eyes. Colour and thickness is individual. Advanced techniques for eyes include shaded eyeliner. 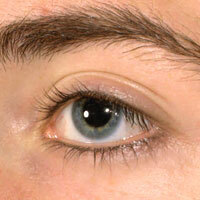 Before and After, lash defining on a male. Before and After, full lip tint on a female. Before and After, the complete look on a female. Before and After. Having over plucked her brows this client was advised by Karen Betts to have her brows redesigned using the natural hair stroke technique. 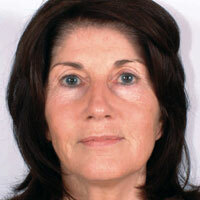 The overall effect has framed the client's face and eliminated the need for eyebrow pencil. Before and After. This client has had her top and bottom lips redefined with contour and lip blush. The overall appearance is now more balanced. Before and After. Top and bottom lash enhancement with intense eyeliner has accentuated the natural beauty of this client's eyes. Click for ALL Micropigmentation (Semi Permanent Make-Up) clinics in the UK & Ireland registered and verified by Consulting Room.